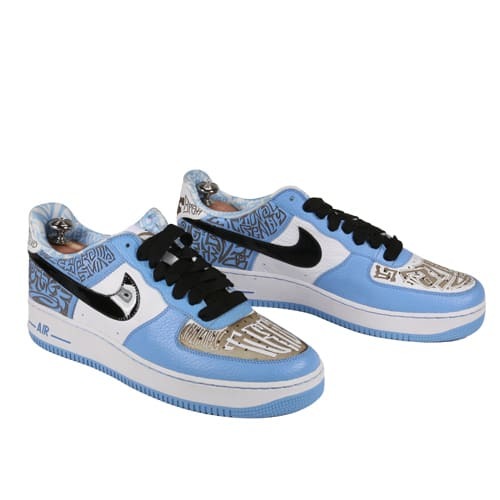 Nike Air Force 1 "Blue Turtle (Entourage)"
"At the time I was trying to get a pair of blue Entourages and people were approaching me with different sizes but I needed my size. Finally I found like four pairs. But this specific one is a special edition that comes in a blue box and has 'Turtle' lasered on the toe, just like the gold ones. It's a one-of-one. Cost me a grip."